Launched by ‘Cocktail King’, Tony Conigliaro, Woltz’s Rose Petal Vodka is said to be the first expression in a range of flavoured vodkas focusing on English ingredients. Distilled in vacuum stills with pink rose petals the ‘pure grain’ vodka’s tasting notes include ‘soft floral aromas and a clean dry rose taste with a peppery finish’. The distillation method is said to provide a more natural flavour unlike a number of flavoured vodkas currently available on the market. The vodka has been developed to suit classic champagne cocktails alongside being served neat. 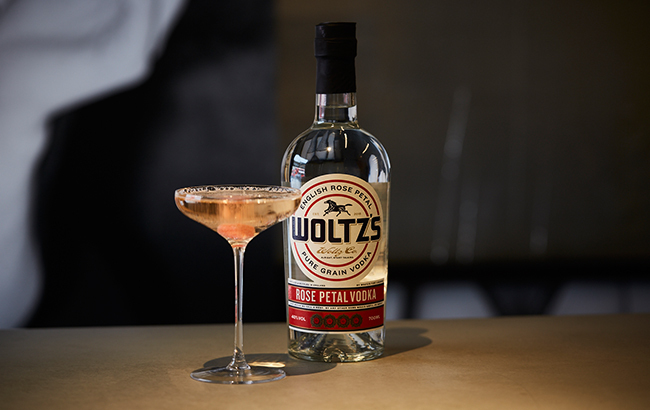 Conigliaro, owner of bars such as 69 Colebrooke Row and Bar Termini, has a long history of creating a range of flavoured vodkas, Woltz Rose Petal Vodka is the first to be distributed across the UK by Cask Liquid Marketing.